Charlotte Hornets General Manager Rich Cho announced today that the team has signed forward/center Mangok Mathiang (MANG-go MATH-ee-ang) and guard Marcus Paige to two-way contracts. Per team policy, terms of the deals were not disclosed. Mathiang (6-10, 230, Louisville) was a member of the Hornets entry at the 2017 Orlando Pro Summer League, where he saw action in five games, averaging 4.4 points on 53.3 percent from the field, 5.0 rebounds and 2.8 offensive rebounds in 17.1 minutes per game. Born in Sudan, Africa, Mathiang lived in Melbourne, Australia for several years before moving to the United States where he spent four years at Louisville (2013-17), appearing in 114 career games (44 starts), owning averages of 4.8 points, 4.8 rebounds and 1.3 blocks in 18.0 minutes per contest, serving as team captain as a redshirt senior in 2016-17. In his final collegiate season, Mathiang averaged 7.8 points, 6.0 rebounds and 1.1 blocks in 20.8 minutes per contest, helping the Cardinals to a 25-9 record. Paige (6-1, 164, North Carolina), was originally drafted with the 55th overall pick in the 2016 NBA Draft by the Brooklyn Nets, with his draft rights being traded to Utah the following day. The 23-year-old appeared in 46 games (40 starts) with the Salt Lake City Stars of the NBA G League last season, averaging 12.1 points, 2.2 rebounds and 2.2 assists in 32.7 minutes per contest. The Marion, Iowa native played four collegiate seasons at North Carolina (2012-16), owning career averages of 13.1 points on 40.7 percent from the field and 37.5 percent from beyond the arc, 4.3 assists and 2.8 rebounds in 141 games, helping the Tar Heels to a 2016 NCAA Championship Game appearance as a senior. Paige was named to the 2014-15 All-ACC Third Team and 2013-14 All-ACC First Team, also earning the 2013-14 ACC Most Improved Player of the Year award. Additionally, he was recognized as an Academic All-American in three seasons, including First Team honors following his senior year. Mathiang and Paige become the first Hornets players to ever sign a two-way contract. The 2017-18 season is the first year NBA teams can utilize two-way contracts, in which teams will be permitted to carry two such players on their roster in addition to their 15-man regular season roster. 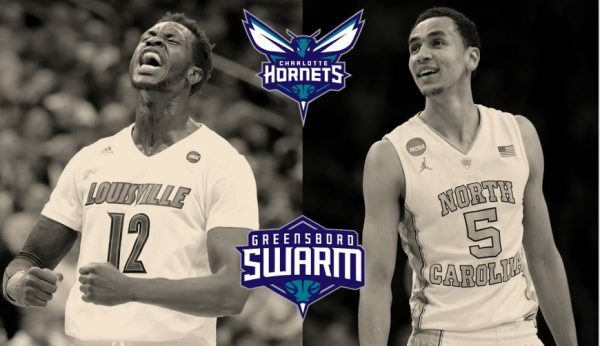 Charlotte’s two-way players will spend time with the team’s NBA G League squad, The Greensboro Swarm, as well as the main club, but are allowed no more than 45 days in the NBA, not including any time prior to the start of the Swarm’s training camp and at the conclusion of the season. Swarm365 Memberships are currently available for the 2017-18 Hornets season. Swarm365 Memberships are about more than just attending basketball games, they are the attachment between the Hornets and the team’s fans. Member benefits include: access to member events, discounts on concessions and merchandise, invitations to exclusive player events and presale ability for other Spectrum Center events and concerts. Swarm365 Memberships start at only $12 per seat per game. Fans can experience the game, the passion and the atmosphere of Hornets basketball by calling 704-HORNETS (704-467-6387) or visiting hornets.com.